Bolton, United Kingdom – Solids handling specialist, Ajax Equipment, has supplied construction and commercial waste management firm, Rabbit Waste Management, with a twin screw feeder, horizontal collecting conveyor and two screw feeders to handle fines from a waste stream and sawdust. Once collected, Rabbit sorts waste removing all recyclable materials for reuse with non-recyclable biomass being used as fuel in Rabbit’s waste to energy facility. 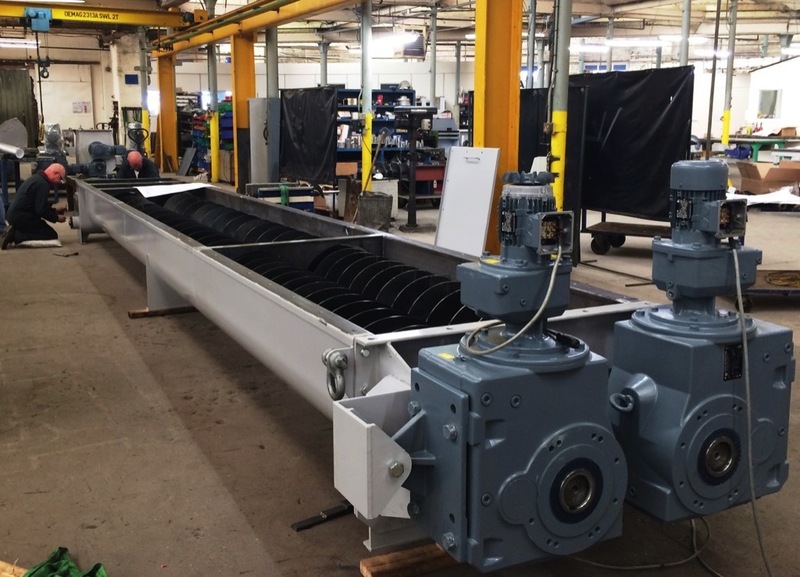 Ajax’s twin screw feeder supplies the combustion system via a chain and disk conveyor and two feeders. Constructed in mild steel, the twin screw feeder collects the fines and sawdust from a hopper, transferring the materials to the collecting conveyor. A previous feeder’s narrow inlet resulted in the fines and sawdust arching; arching occurs when the strength of a material allows it to form a stable structure over an outlet. As a result of bench scale and pilot plant testing Ajax recommended vastly increasing the size of the inlet and utilising large diameter screws to cover variability in material flow. It is one of good news for biomass handling and hope to have further discussion with you for technical and business for biomass. At now we are very suffering demolition wood chips for our biomass fuel handling and need your interests for now and future jobs near in future. Pls feel free to contact me.